“Do You dream of a Log Cabin Home? A log cabin home definitely does have a “wow” factor in most countries. Not only are they usually quite a rarity, but they look unlike anything else. Log cabins are a joy to your senses: a delight to look at, lovely to feel, and have a wonderful aroma of real wood! Walk into a log cabin and you cannot help but feel more relaxed and at one with nature. The warm glow from all the timber produces a really inviting place to spend your time. As you are probably well aware, not all log cabin homes are created equal (far from it in fact)! With more and more log companies around, the choice has become more diverse and the range of quality and specification is vast! There is no area more crucial to know your stuff than when it comes to building your own home. 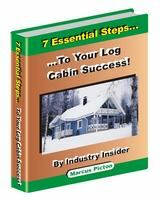 So what should you be looking for in a log cabin house? Well as it is made from logs, this would be a very good place to start. There are a lot of different log types out there. You need to know where the timber came from, what type of wood it is and certain characteristics of the wood. You also need to know about the logs themselves: what profile are they? How thick? How are they joined? ...and so on. Now we don’t expect that many people looking at a log cabin home will already have this level of knowledge so we will help guide you through what to look our for in our other sections: timber types and log types. The design of your home is also extremely important. 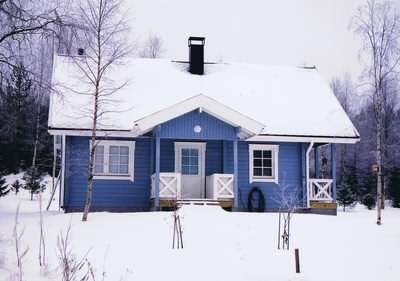 Many log companies offer standard packages (as this helps to reduce costs), but within certain structural limitations you can design log cabin homes in any shape or size you can think of! 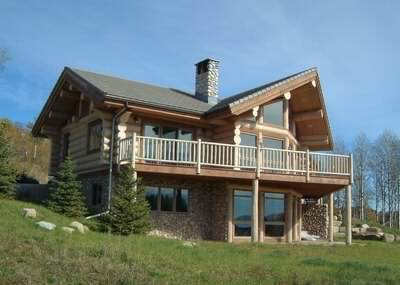 I have seen details on a log house in the U.S. which was over 10,000m2 (100,000 sq. ft.) - and no, that is not a misprint!So the sky is the limit really, but there are certain design principles which log buildings should follow, to ensure long term success. The potential problem with a log building is that being constructed out of timber (a completely natural material) means that with flawed design, construction and maintenance, it is possible that deterioration could result at some point in the future. The trouble is that often this is a long time before it manifests itself and, by the time it has, sometimes remedial action can be quite involved and costly. The real key therefore is making sure you get it right every step of the way, and make sure your dream home stays that way! The interior finish of your log cabin is a vital aspect. Do you like the look of all the timber exposed, or would you prefer the traditional exterior with a more contemporary interior? While the look is more of a personal preference (and there is no real right or wrong answer), the materials used can have a significant impact. Some countries require the wood to be fire treated which is a very costly procedure. You also need to think about wet areas and not allowing water or damp to cause problems with the wood over the years. We will cover all these areas and more in our log cabin interior section. There are a few things to think about outside too. What kind of roof tiles should you use? What do you paint the timber with? What sort of foundations can you use? The location of your log cabin on the site needs consideration too. The timber needs to be kept away from potential sources of moisture (i.e. the ground). The paint will help to protect the timber but levels in relation to the surrounding ground and certain other design aspects must ensure water cannot get trapped next to your precious timber. The roof tiles vary considerably in appearance, cost and (importantly) weight. I would thoroughly recommend you look at roof tiles early on in your log cabin home project! An eleventh hour change in roof tiles could alter your whole structural design if the weight increases significantly. Again, there are other sections on this site which will reveal all the information you need. Now I don’t say all these things for a minute to seek in any way to put you off a log home! No, my aim is for you to go into this with your eyes open and armed with the know-how to get a great log house. They really are wonderful places to live in, but most people looking at buying one do not know all the "ins" and "outs" of log structures. Get it right and the rewards are immense! 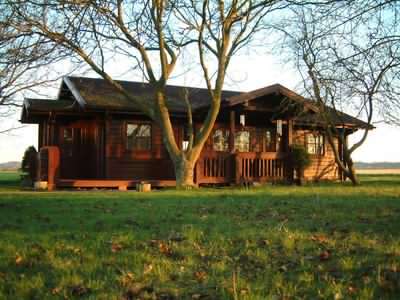 Some time and effort spent now, discovering how to ensure you follow the right steps, really will pay off many times over when you are sitting back and enjoying a problem-free log cabin home! There is one particular aspect that will be the primary focus of almost everyone who is looking to do a log cabin, and that is the "price"! There is no getting away from it; money dominates our thoughts a lot of time. With this in mind we run over the subject of how budgets are affected and what is the likely log cabin cost.